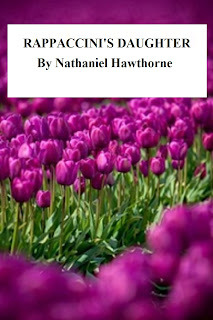 My revised version of Hawthorne's Rappaccini's Daughter is now available in KINDLE. The American author was born on July 4, 1804 in Salem, Massachusetts to a family that had been prominent in the area since colonial times. His father died when he was four years old, leaving the child in the care of maternal relatives. Later he attended Bowdoin College where he met well-known literary and political figures of the day: writer Horatio Bridge, future Senator Jonathan Ciley, Henry Wadsworth Longfellow, and future President Franklin Pierce. Later he befriended the finest American intellectuals of the time including Amos Bronson Alcott and his daughter Louisa May Alcott, Henry David Thoreau, and Ralph Waldo Emerson who was also prominent in the Transcendentalist movement. Through his influential friends he managed to always find government employment. Rather than novels Nathaniel Hawthorne cultivated 'romances' —which allow the writer a quicker suspension of disbelief and more latitude than novels — that border on fantasies and dreams, one can say that narratives such as The Scarlet Letter and The House of Seven Gables do contain elements of magic realism. In particular, the closing scene of The House of The Seven Gables in which Uncle Venner "seemed to hear a strain of music and fancied that Alice Pyncheon ... had given one farewell touch of a spirit's joy upon her harpsichord as she floated heavenward from the House of the Seven Gables." This scene is reminiscent of Gabriel Garcia Marquez's fabulous scene in which Remedios the Beauty —a character in One Hundred Years of Solitude— ascends to heaven in the midst of flapping sheets. Nathaniel Hawthorne's short stories include “Rappaccini’s Daughter,” “My Kinsman, Major Molineux" (1832), "Roger Malvin's Burial" (1832), "Young Goodman Brown" (1835), and the collection Twice-Told Tales. While many read this story as a horror story, the story is really a love story. The story is an ‘open story’ for which no definitive interpretation has been put forth. What is definitive is that it has spawned a small library filled with many serious and not-so-serious interpretations. Among the serious one we find some common threads: that it deals with transcendentalist themes; that Beatrice is a heavenly angel and a fatal seductress, and Giovanni a Puritan prototype; it is also read as an allegory of the Garden of Eden where Giovanni and Beatrice are the surrogates of Adam and Eve, and Rappaccini God and Satan, with a poisonous plant for the tree of life. 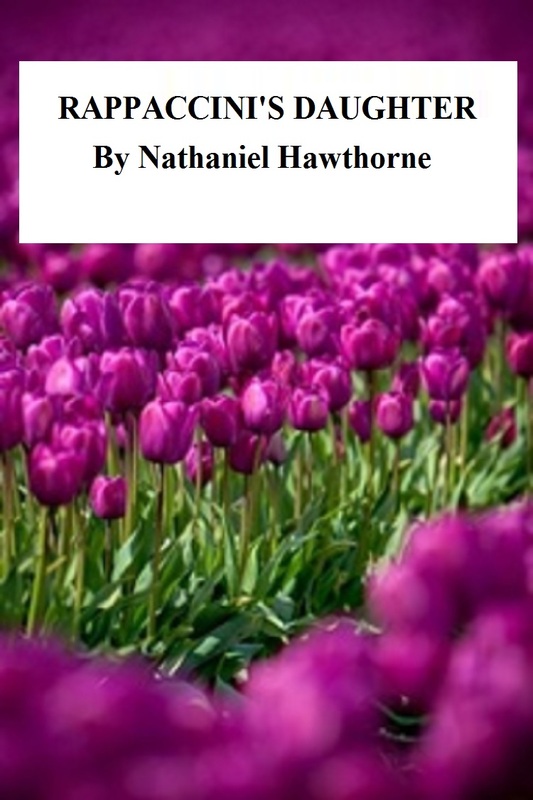 Like Chaucer, Shakespeare, and other classic writers, Nathaniel deserves to be read. Many good intentioned readers begin to read the first page of “Young Goodman Brown” only to abandon the story a few seconds later. It is the stilted language what deters readers. To make the story more agile and easy to follow, I have re-punctuated and re-paragraphed the text, removing the ‘thous,” “thees,” and other archaisms—making the prose resemble contemporary American English, while preserving Hawthorne’s admirable style. Comments on "Nathaniel Hawthorne: Rappaccini's Daughter (In Contemporary Englishy)"